Welcome to the CTMH Technique Blog Hop! 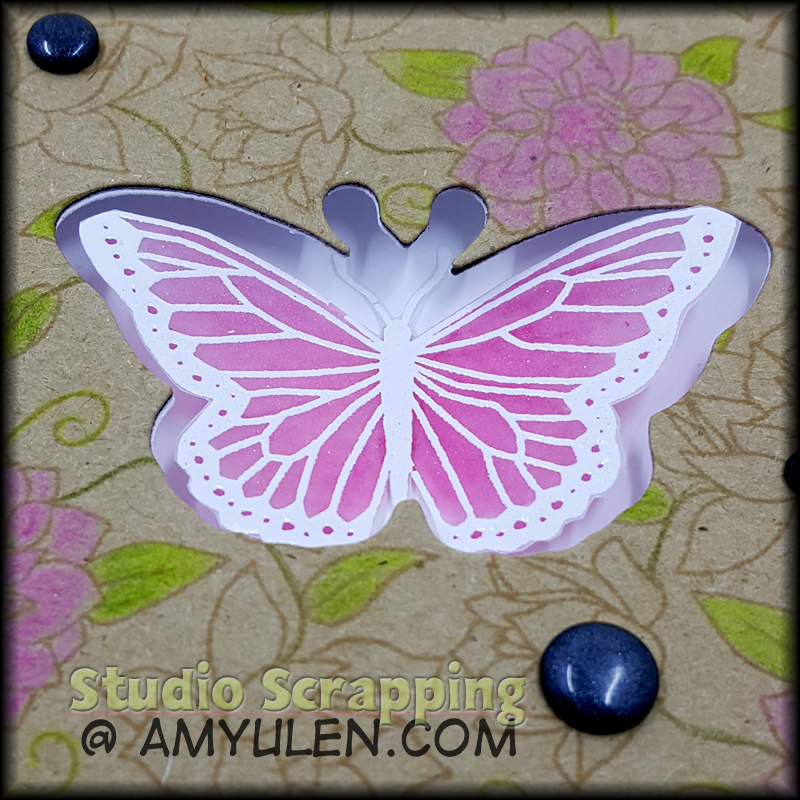 This month, we are focusing on Blushing Backgrounds in the hope that you will find some new uses for your background stamps. If you are joining me from Annemarie Julian Wetzel’s blog, you are on the right track! One of the things I love best about background stamps is that they let me create my own patterned paper. 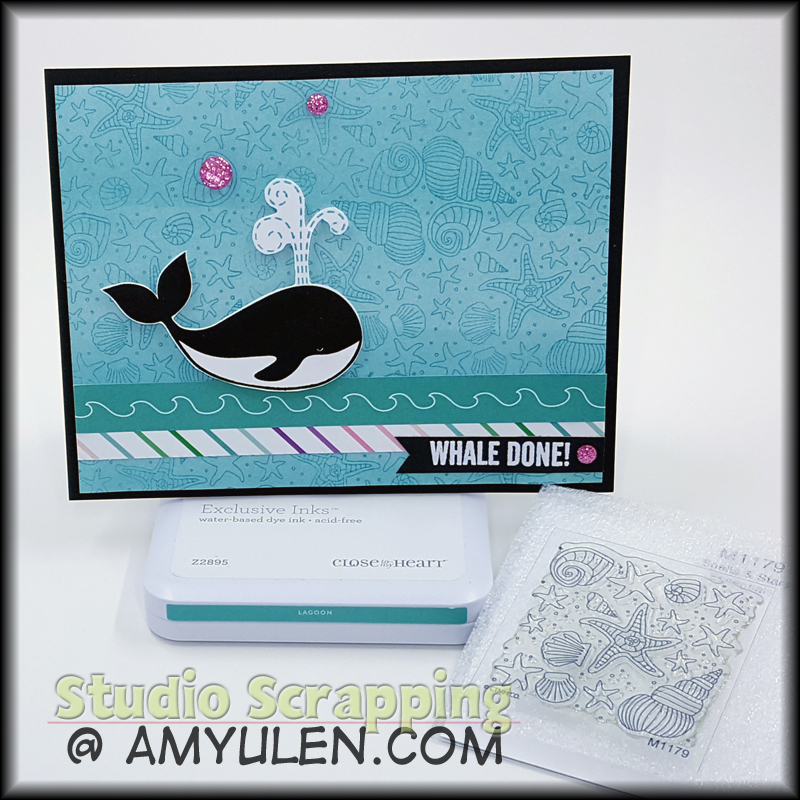 For the Whale Done card, I stamped Shells & Stars onto ombré paper from the Adventure Fundamentals. That paper would have been fine on its own, but I really like the added texture I get on my card with tone-on-tone stamping. 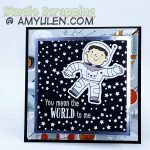 It adds just enough interest without taking away from the icon and sentiment from the Make Waves Cardmaking Stamp. 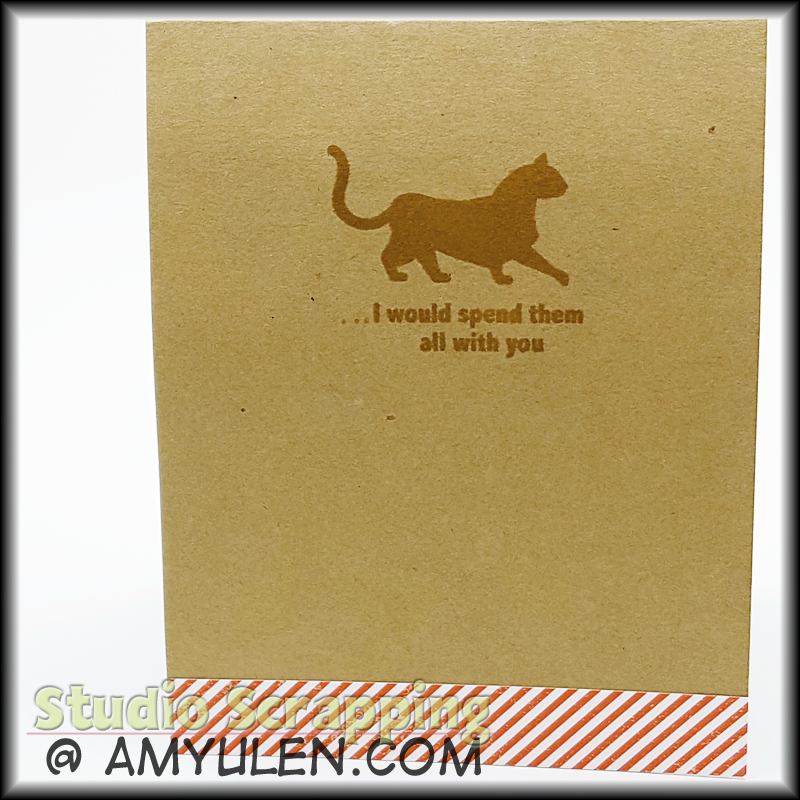 Kraft paper is such a fantastic neutral, and I use it in scrapbooking all the time. 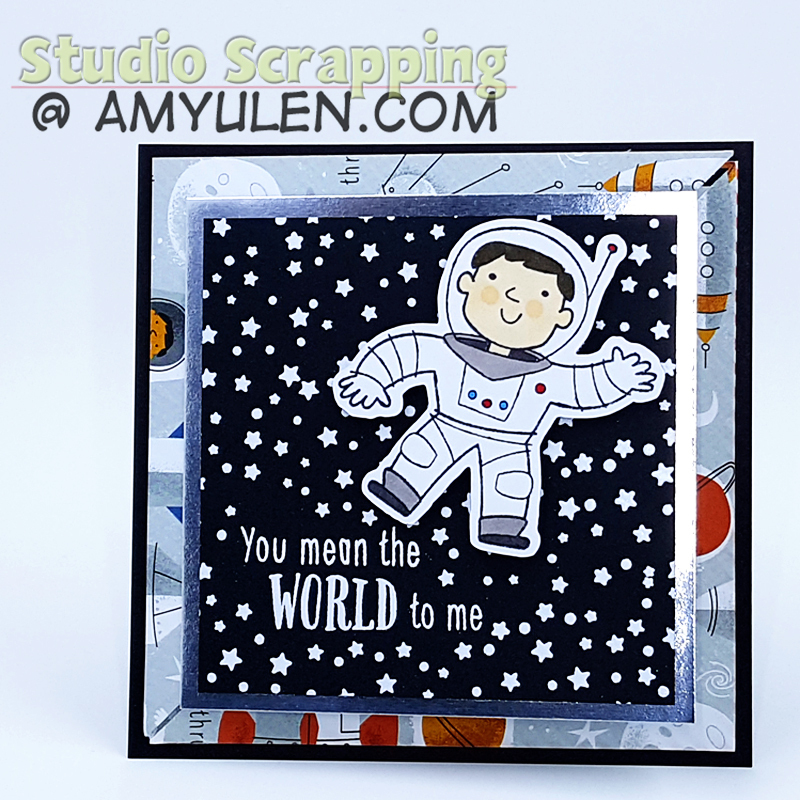 It can look a little plain in cardmaking, so I jazz it up by adding background stamps! 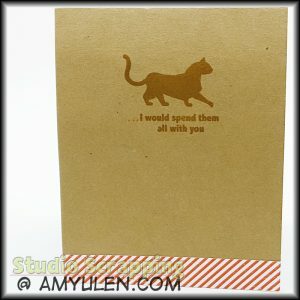 The Paws stamp set is perfect for either cats or dogs, so I paired it with the Cat’s Meow stamp to create this simple yet adorable card. 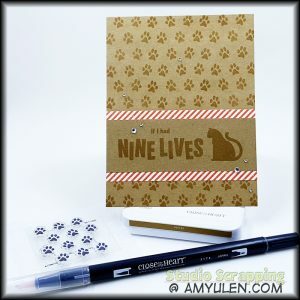 Here’s a quick bonus technique for you–I cut the “Nine Lives” stamp apart so that I could finish the sentiment on the inside of the card. I added ellipses on both the front and inside with a Blending Pen and Toffee ink. The Blending Pen is in the Going Soon section of my website, so get some while you still can. I have one for every color family. 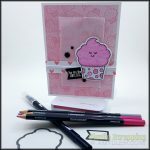 Here are a few more examples of background stamps or small stamps used to create backgrounds. Look at your stash of stamps and get creative. I would love for you to share your creations in the comments below or on the StudioScrapping Facebook page. The next stop on the hop is Melissa Robinson’s blog. Love, love, love it!!! Those are super cute! Good job. They are beautiful, but I particularly like the Whale Done card! The color combination, workmanship, and creativity…you did great. I love both cards! The cat one is by far my favorite! Great art! Thanks, Danielle! I can’t wait to give it to my hubby for Valentine’s Day. Thanks, Kim! It is a fun technique and gives such pretty results.